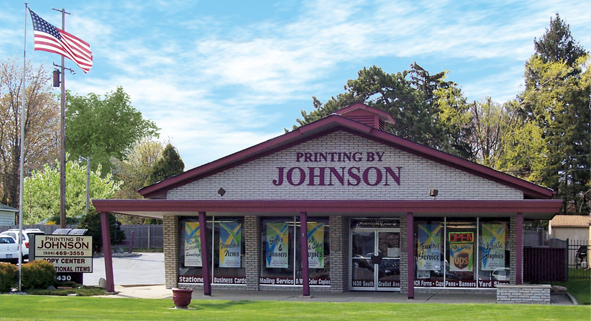 Established April 1, 1999, Printing By Johnson has provided Mount Clemens and the surrounding areas with the highest quality products – and the lowest prices – for fifteen years. 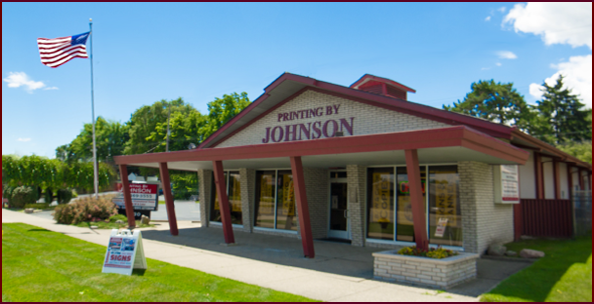 Unlike “big box” printing & copying stores, Printing By Johnson is family owned and operated. This means you will get caring, knowledgeable, personalized service every time you use us – and not a rotating staff of indifferent, inexperienced workers, like you often find at the office supply chains. Our experienced design team will take the time to get to know you and your business – so that we can understand and fully meet your needs. We will explain your options, recommend the most suitable services, and meet your deadlines . . . while containing costs and respecting your budget. When you compare “apples to apples” you will find that our prices are lower than our competitors – including the big chains. 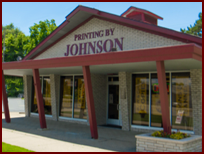 And, you may be surprised to learn that allowing Printing By Johnson to handle a job is usually cheaper than doing it yourself! 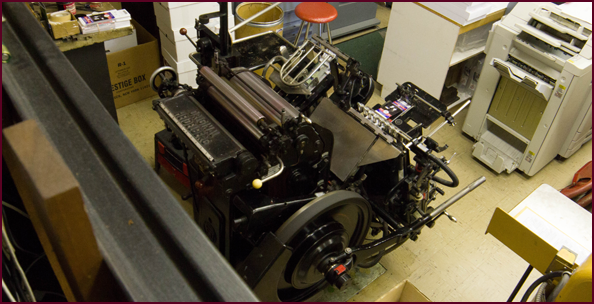 That’s because we have the automated technology, and the state-of-the-art equipment, to save you countless man-hours. 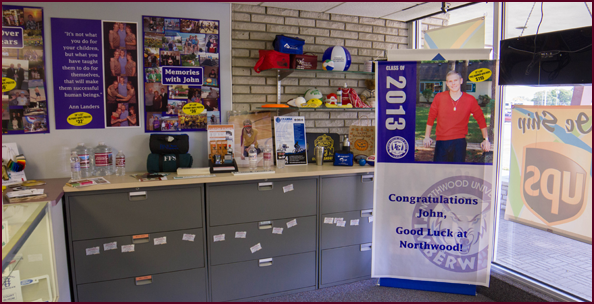 Your signage, stationery, business cards & presentation materials are how the world sees your business and your brand. Don’t trust your image to just any body! 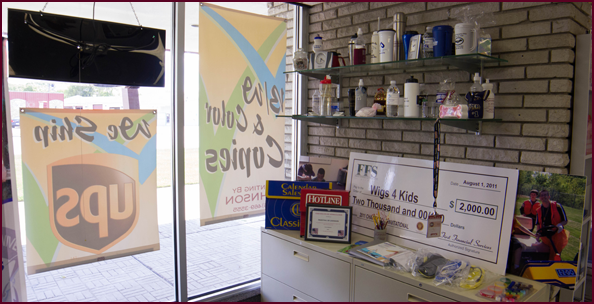 When you put your printing, copying and signage needs in the hands of our skilled, creative, experienced design professionals, your marketing materials will always be sure to impress. 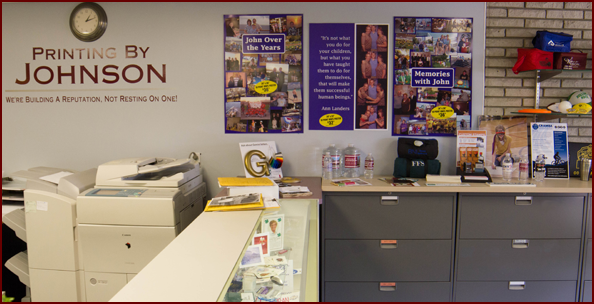 Whether your printing needs are large or small, Printing By Johnson guarantees the highest quality, the lowest prices and the fastest turnaround time. 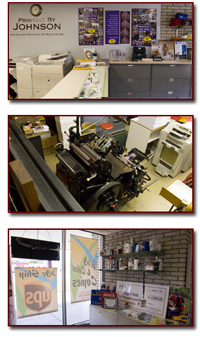 Call, email or visit our showroom today to discuss your printing needs with our experienced design professionals.